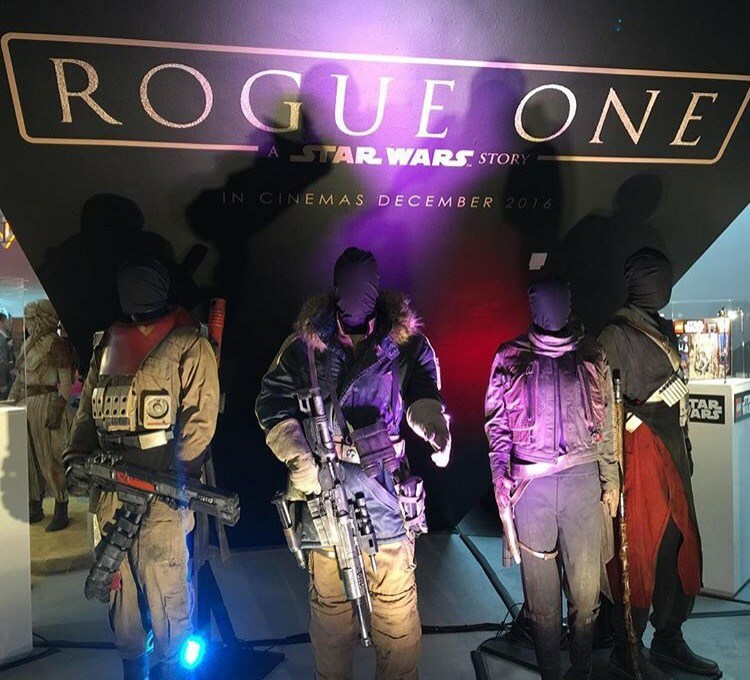 The new costume, the one on the far left, appears to be that worn by actor Jiang Wen in the cast photo revealed at D23 back in August (below). 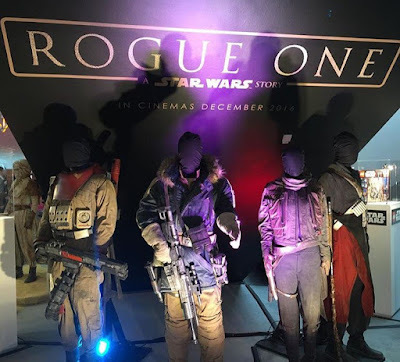 The other costumes pictured above appear to belong to the characters portrayed by (l-r) Diego Luna, Felicity Jones, and Donnie Yen. Rogue One: A Star Wars Story is directed by Gareth Edwards and stars Felicity Jones, Forest Whittaker, Diego Luna, and Donnie Yen. 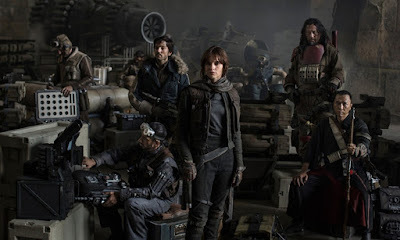 The film will tell the story of a band of Rebels who steal the plans to the first Death Star. It hits theatres on December 16th.